Join us for a day of fun with arts, music and food and much more! 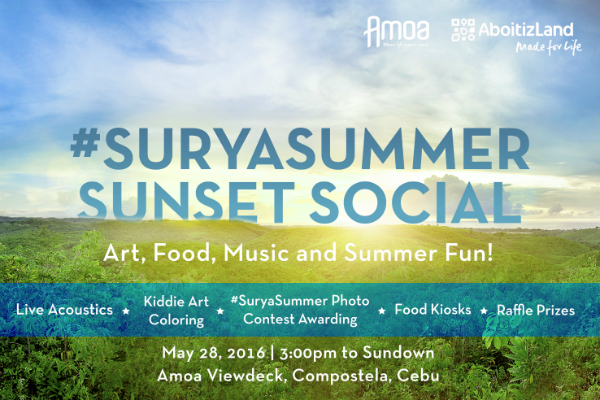 Enjoy the following fun treats at the event this May 28 (Saturday) 3pm until sundown at AMOA Viewdeck. 4. FOOD TRIP and MORE!